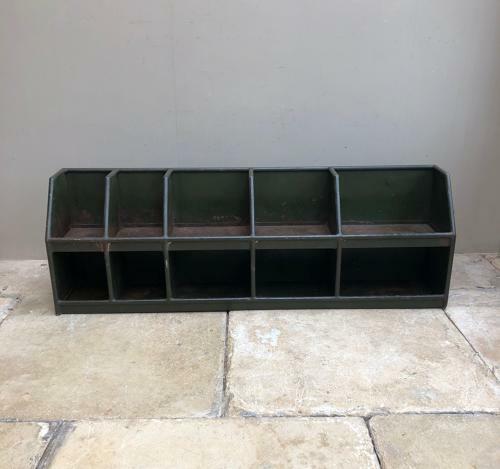 1940s Industrial Metal Workshop Pigeon Holes in their Original Green Paint. Great for display in a shop or kitchen. Will freestand on a worktop or wall hang. Heavy..Collection or Courier UK £45 (Not including Scotland).